Pacheco files for divorce citing irreconcilable differences. She wants physical custody of the couple’s daughter and spousal support. Marvel releases the trailer for Avengers: Age of Ultron, the much anticipated sequel to The Avengers, early due to the influx of faux fan trailers. Although released a week early, Marvel took to twitter jokingly blaming the early release on a comic nemesis, Hydra. Renner and Fallon discuss his new movie and his new twitter account on The Tonight Show Starring Jimmy Fallon. I was bored on set and we have this mask and I wanted to wear the mask. Renner plays Emil, also known as ‘Orlando the Magician’ in the period drama, The Immigrant. In 1921, Ewa Cybulska and her sister immigrate to the United States to start a new life. Separated from her sister at Ellis Island, Ewa must take to the streets of New York and earn a living. Co-starring actors Joaquin Phoenix and Marion Cotillard. I think it’s beautiful. I think the way it looks is a piece of art…I was very surprised on how beautiful it really was. Renner plays Mayor Carmine Polito in the crime drama, American Hustle. After swindling a federal agent, two con-artists are forced to help the FBI take down bigger criminals in order to stay out of jail. They enter a world full of corrupt politicians, criminals, and the mafia. Co-starring actors Christian Bale, Bradley Cooper, Amy Adams, and Jennifer Lawrence. I had to just dive in and commit to what I was doing, what I wanted, and what I needed to get done for that character. Elle Magazine interviews Renner about starting out in the entertainment business as a makeup artist and if it was just to meet women. 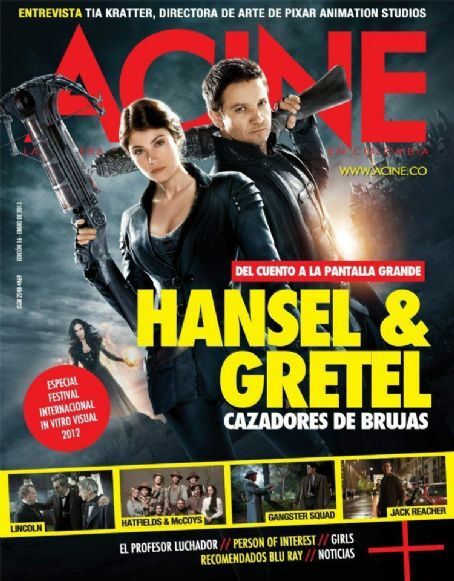 Renner and Arterton appear on the cover of the February 2013 issue of Skip magazine. Renner plays Hansel in the action fantasy film, Hansel & Gretel: Witch Hunters. After surviving an encounter with a witch as children, Hansel and Gretel grow up to become the best witch hunters in the land. After a few children go missing in a nearby village, the siblings are called upon by the Mayor to investigate. Co-starring actresses Gemma Arterton and Famke Janssen. There was a lot of room for character and developing amazing bonds and relationships and behavior in a really fantastic world. There’s no rights or wrongs because it’s a fairytale. 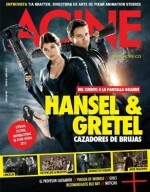 Renner and Arterton appear on the cover of the January/February 2013 issue of Acine magazine. 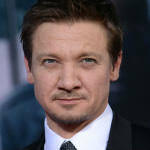 Renner plays Aaron Cross in the action thriller, The Bourne Legacy. After the CIA decides to destroy anything and anyone associated with Operation Outcome, Agent Cross and Dr. Marta Shearing are first on the list. Cross sets out on a mission to save Shearing and to find out why he is being hunted. Co-starring actors Edward Norton and Rachel Weisz. I love the intimacy inside sort of feel that it had. It satisfied a lot of things for me artistically and then even physically with the stunts. Renner plays Hawkeye in the Marvel Comics film, The Avengers. The city of Asgard is no longer of interest to Thor’s brother Loki. Instead, he is more concerned with ruling Earth and everything that Thor loves. Colonel Nick Fury mobilizes the Avengers: Iron Man, Thor, the Hulk, Captain America, Hawkeye, and Black Widow. Co-starring Robert Downey Jr., Chris Hemsworth, Chris Evans, Mark Ruffalo, Samuel L. Jackson, and Scarlett Johansson. Just practicing what to do with this bow, how to do it, then sheathe it, unsheathe it…And then to make it look cool on top of it…that was the biggest challenge. Renner plays William Brandt in the action thriller, Mission Impossible: Ghost Protocol. After a disastrous bombing at the Kremlin, the IMF is implicated and the U.S. government initiates Ghost Protocol. The IMF has been disavowed and it’s up to Ethan Hunt and his team to stop a possible nuclear strike without the support of the government. Co-starring actors Tom Cruise, Simon Pegg, and Paula Patton. That’s part of the fun of doing a big fun action movie. You kind of get paid to do and get in shape and learn something you’ve never learned. Renner is nominated for Best Supporting Actor at the 83rd Academy Awards for portraying James “Jem” Coughlin in The Town. I am truly overwhelmed with gratitude by this recognition by the Academy this morning. I’m smiling from ear to ear knowing that lightning can strike twice and it feels electrifying. Renner plays James Coughlin in the crime drama, The Town. Four friends from Charlestown, Boston have just gotten away with one of their biggest bank heists. After the heist, they follow the bank manager for a few days to see if she is talking to the police. When Doug MacRay starts to fall in love with the bank manager, things get complicated for all of them. Director Ben Affleck also co-stars in the film. He’s a product of his environment, so I had to really understand the environment, you know the accent. It all kind of mushes together, the attitude that comes with that accent and them being a product of their environment. Renner is nominated for Best Actor at the 82nd Academy Awards for portraying SFC. William James in The Hurt Locker. This is more exhilarating than I could have ever imagined. What a tremendous honor from the academy – a blazing stamp in the passport of an artist that can never be taken away and will always be cherished. Renner plays Sgt. First Class William James in the military drama, The Hurt Locker. James loves his job as a bomb disposal expert. With only one month left on tour, Bravo Company wants to keep their heads low and avoid confrontations. But James loves the high he gets when he diffuses bombs and puts the whole company in precarious situations with his risk taking. Co-starring actors Anthony Mackie, Guy Pearce, Ralph Fiennes, and Evangeline Lily. I felt bad at some points, but knowledge is power. Knowing what these guys do, I have ultimate respect for our military more so than I ever did before. Renner plays Doyle in the horror film, 28 Weeks Later. It has been 28 weeks since the Rage Virus was released and the city of London was overrun. Since then, the city has been quarantined and re-population has begun. One refugee that enters London is unknowingly a carrier of the virus, and this time, it is deadlier than ever. Co-starring actors Idris Elba, Rose Byrne and Imogen Poots. What I thought was terrifying about the first one is that you don’t see much infected at all… This one you see loads of them! Renner plays Ned in the indie drama, Neo Ned. Ned doesn’t have a family so he joins the Aryan Brotherhood for friendship and community. Ned is then placed in a mental hospital where he meets Rachael. The unlikely couple tell a story about love in the most unexpected of situations. Co-starring Gabrielle Union. I really love the journey of this character Ned. It’s a blast. Full of adversity, he could do nothing right, and he’s a mixed bag of shortcomings and grand delusions.